McDonald’s say you can’t eat a Grand Big Mac with one hand. Simon wanted to prove them wrong. Wayne wanted a McDonald's. 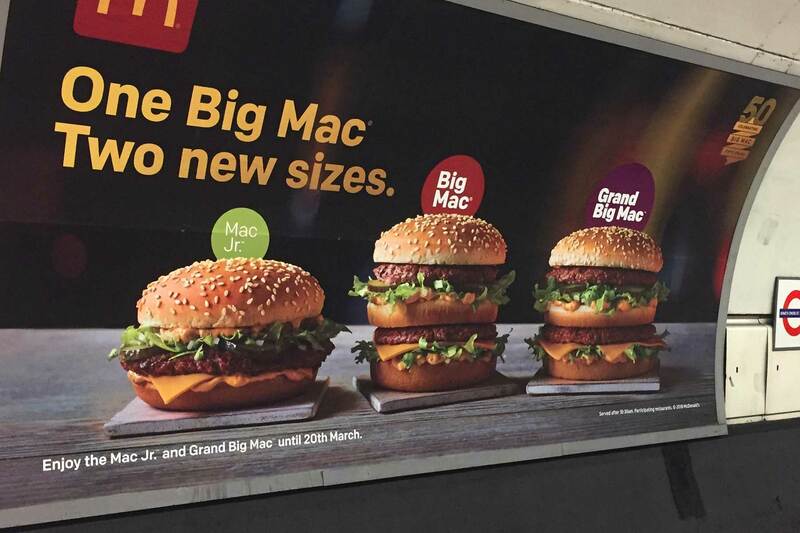 Fifty years since the introduction of arguably the most famous fast food burger, McDonald’s has introduced two new options to the Big Mac Range; ‘Mac Jr.’ and ‘Grand Big Mac’. We ordered 2 Large Grand Big Mac Meals, 20 chicken nuggets and Diet Coke (obviously) on the new (to me) touch screen ordering system. Very easy to use, but at lunch time on a Friday you’re left standing in a pool of people gormlessly waiting around for their number order number to be called out. Notable mention to the Crew Member (that’s the job title McDonald’s gives to students) who forgot to pack the four Sweet & Sour sauceseses we ordered. Good job Lee stocked up the condiments earlier this week. Back to the office to tuck in. Simon swiftly picks up his Grand Big Mac (with two hands) while I remove the gherkins – and the additional gherkins they give you due to the larger size. McDonald’s always leaves you hungry despite ordering a feast but that wasn’t the case this time. Perhaps because of the extra bread, or because my body had its fill of sodium. The feast did not disappoint. Everyone loves a Big Mac. What’s better than a Big Mac? An even Bigger Big Mac. They should’ve just called this the Biggerer Mac. 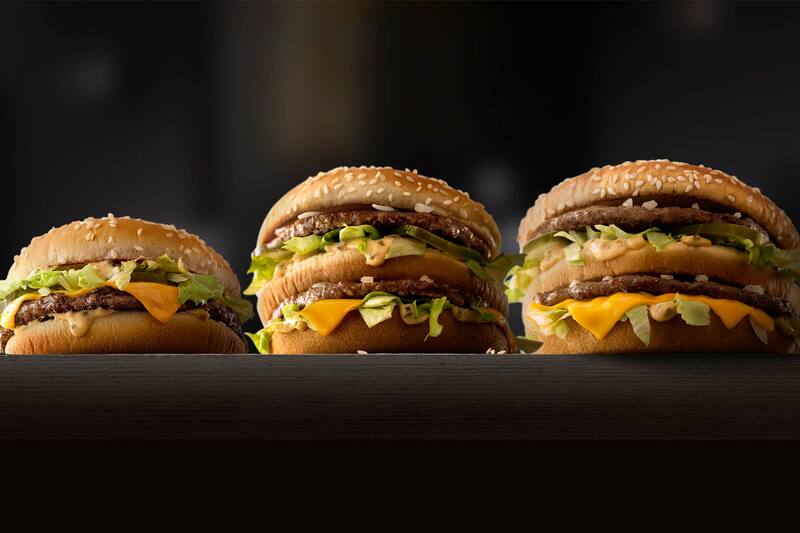 Sold in more than 100 countries, the Big Mac is probably more famous than David Beckham. According to McDonald’s, if you stacked all the pickles from Big Macs sold in the UK in the last year, you could reach space five times over… Likewise if you stacked all the pickles from Big Macs thrown in the bin in the last year, you could probably reach space again! There are about 200 seeds on every Big Mac Bun. One for every heart attack caused by fast food in the USA in the time it’s taken you to read this article. It was quite nice actually. So there you have it. 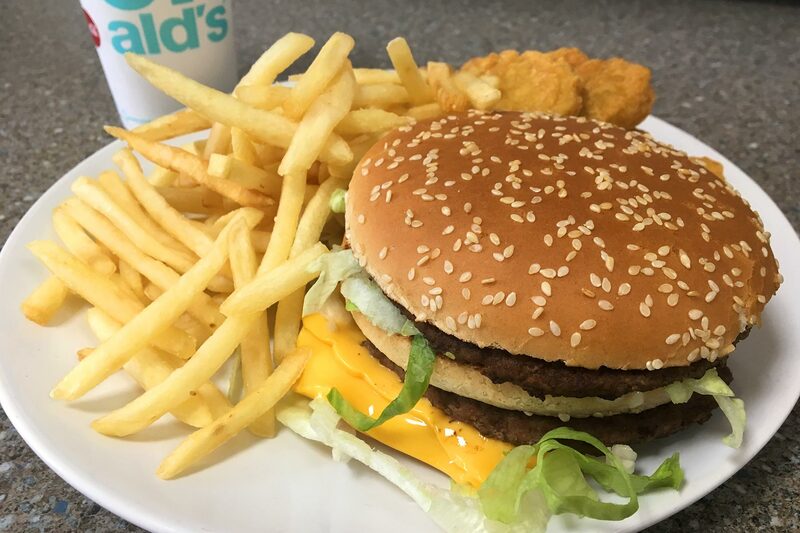 If you’ve not sampled the Grand Big Mac yet you have until 20th March 2018 to do so. We will probably be back.